Arch Painting has defied the stereotype of commercial painting contractors with our top quality services for nearly 20 years. You can expect us to be refreshingly efficient, reliable, and accommodating of your needs with our exterior painting services. 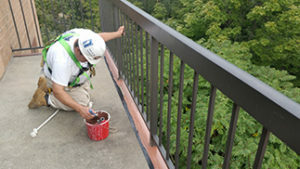 Quality workmanship: With expertise in all types of paints, stains, and high-performance industrial coatings, we guarantee your project’s exterior will look impeccable at project completion. And with quality products and expert application, it will stay that way for years to come. Solid estimates: Looking for commercial painters that stand by their quotes? Rest assured, the quote you receive is the price you pay. Need to adjust the scope along the way? We’re always happy to re-quote. Convenient scheduling: Arch Painting schedules your project according to your needs, not ours—whether it’s days, nights, or weekends. 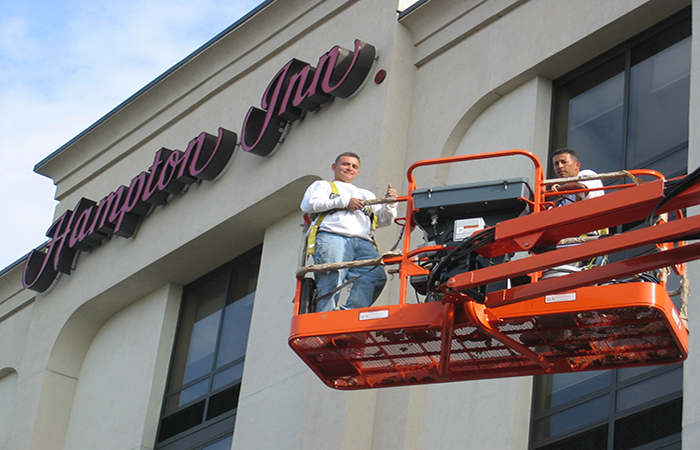 As one of Eastern Massachusetts’ longest-standing commercial paint contractors, we excel at coordinating work that spans multiple locations. We also service all of New England for larger projects. Discretion and courtesy: We know other work doesn’t stop when exterior painting starts. You can count on our crew to be courteous of other trades while on the job. After cleaning up at the end of each day, you’ll never know they were there at all. Protect: Our painters cover grounds, plantings, and parked vehicles with drop cloths to shield them from paint drips and overspray. If boom lift equipment must be driven on a grassy surface, we lay down plywood to prevent tire damage. Caution tape, barriers, and wet paint signs are used as needed to direct employees and guests safely around the work site. Lead paint chips are collected and properly disposed of. Apply: All joints receive siliconized caulking to prevent moisture from penetrating behind wood. To ensure good paint adhesion, rust-resistant primers and industrial finishes are applied to metal surfaces and oil primer is applied to bare wood prior to the top coat. 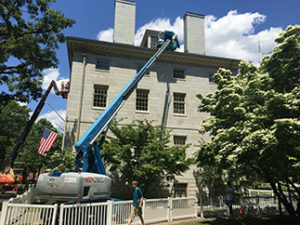 As commercial painters, we use a variety of techniques such as brushing, rolling, and spraying to guarantee a flawless and professional paint finish for your project’s exterior.